The 47-year-old Priyanka will undertake a train journey from New Delhi reaching Faizabad on 27 March. The visit comes days after she completed a three-day boat ride on the River Ganga from Allahabad to Varanasi. Reports say that Priyanka will hold a roadshow in Ayodhya and will offer prayers at the Hanuman Garhi temple. She will, however, not visit the Ram Janmabhoomi area. The roadshow will cover a distance of 50 kilometres and will culminate at Kumarganj. The three-day trip will come to an end at Unnao on 29 March. According to reports, the roadshow will have 32 pitstops during which Priyanka will meet locals. She will also address two public meetings in Faizabad. On 20 March, Priyanka concluded her three-day boat ride on the river Ganga at Assi Ghat in Varanasi –Prime Minister Narendra Modi’s parliamentary constituency. She offered prayers at the Kashi Vishwanath temple at Varanasi and paid floral tributes to a bust of former Prime Minister Lal Bahadur Shastri in Ramnagar. 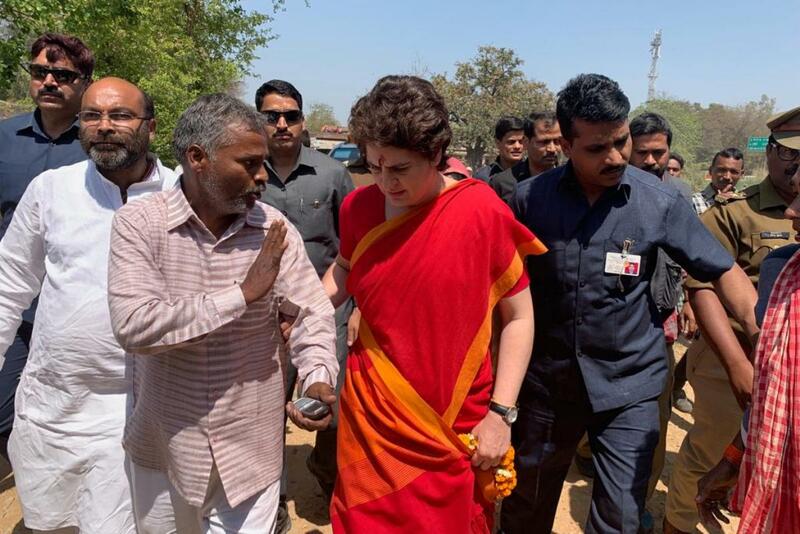 Immediately after concluding the Congress campaign tour, Priyanka countered PM Modi’s charge that institutions of the country have been the biggest casualty under the Congress regime. “BJP has systematically attacked every institution in last 5 years including the media. PM should stop thinking people are fools and understand that they see through this,” Priyanka told reporters. She alleged that “those obsessed with power” believe they can bully critics into silence. “When power goes to their head, they have two misconceptions. One, that it is easy to mislead people. Two, that those who speak against them are afraid. We are not afraid, no matter what they do. They can harass us as much as they want to, we will keep fighting,” said Priyanka.